New Email Opened - Trigger when the email was opened. New Document Downloaded - Trigger when the document was downloaded. New Link Clicked - Trigger when the link was clicked. New Document Opened - Trigger when the document was opened. New File Downloaded - Trigger when the file was downloaded. New Document Viewed - Trigger when the document was viewed. 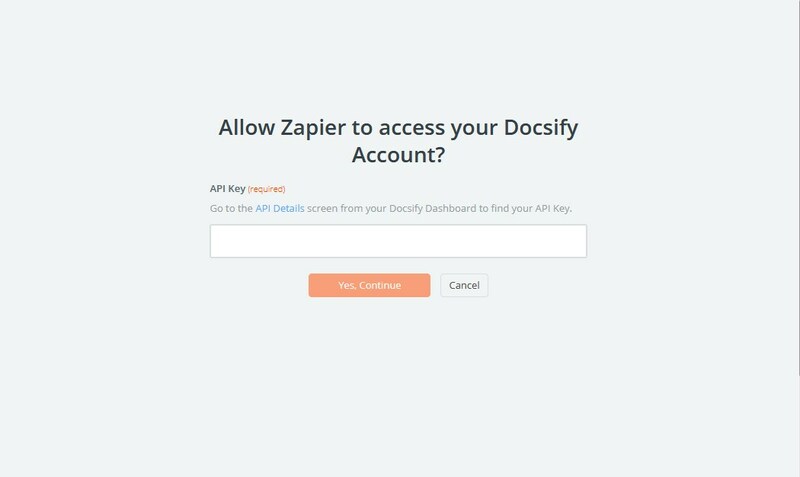 When you start creating a Docsify Zap, you will be asked to connect your Docsify account. 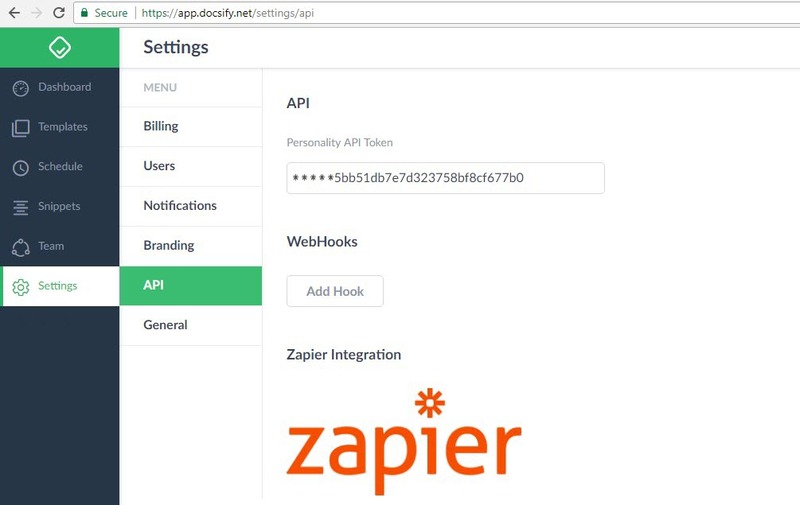 Next, you'll be asked to enter your Docsify API key. Click "Settings" from the Top Menu. 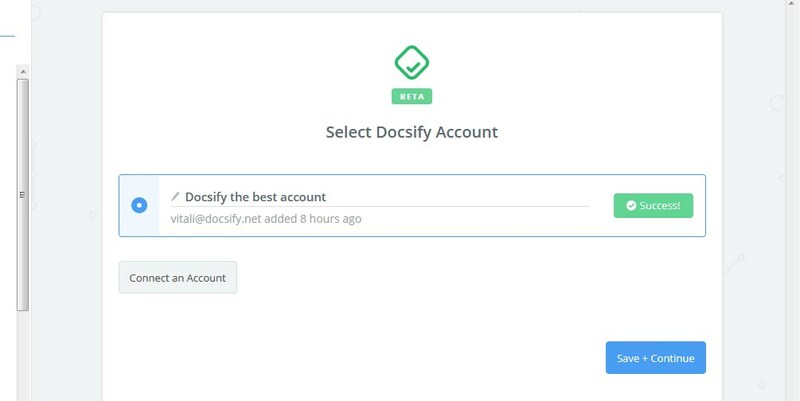 If all steps were successful your Docsify account will now be successfully connected.